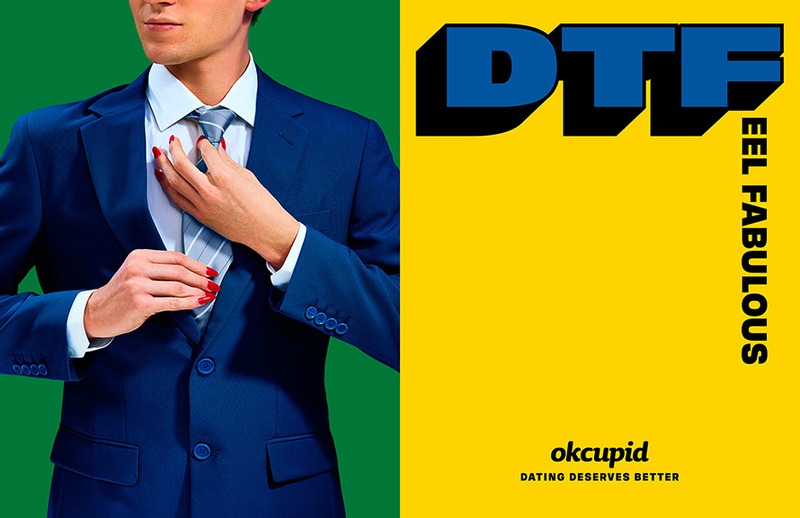 The campaign, largely driven by out-of-home, resulted in a 50% boost in social mentions of OkCupid. 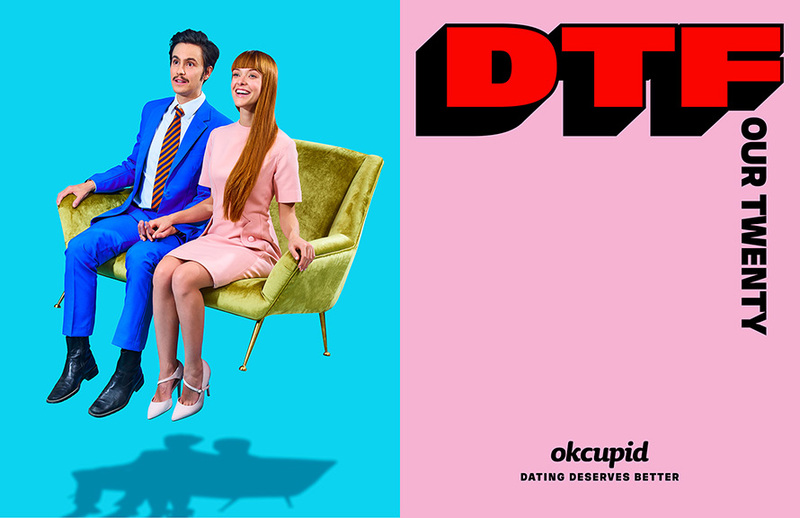 In the crowded category of dating apps, OkCupid has rarely been one of the most high-profile options, but its recent “DTF” campaign seems to be working at changing that. But not all the ads have been welcome everywhere, and in fact the entire campaign was rejected outright by the Chicago Transit Authority. 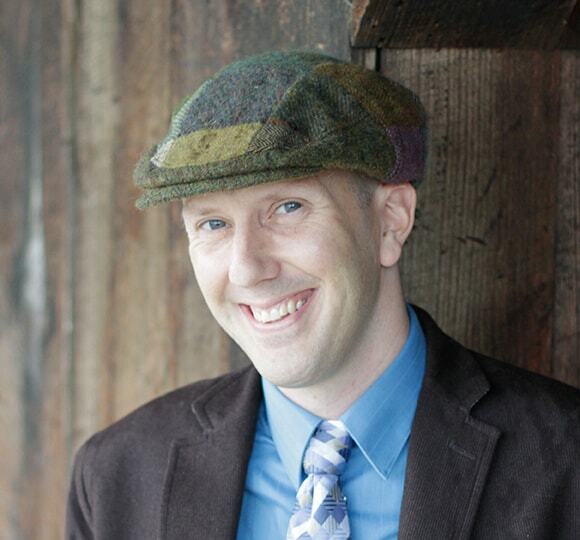 Because the work is largely meant to run in outdoor and out-of-home, such as in public transit, the campaign has faced a litany of reviews and occasional rejections. New York City’s Subway rejected the ads featuring headlines “Filter out the Far Right,” “Four Twenty,” and “Football vs. fùtbol”. These ads were also turned down for a few other media placements in New York, including in Brooklyn, where hand-painted wallscapes of “Fight About the President” and “Fantasize about 2020” were also rejected. The brand faced similar denials in Washington, D.C., and San Francisco, with ad placement locales in both cities saying no to some of the ads that referenced politics, drugs and sexual metaphors (the “football vs. fùtbol” ad forms a phallic shape from a football and soccer balls). The brand isn’t always told why certain ads are rejected. For example, the “Filter Out the Far Right” ad might be turned down for placement because it shows a handgun, or it might be seen as too politically incendiary. 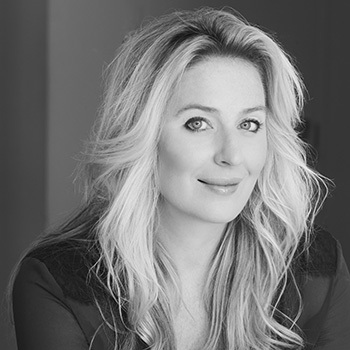 Similarly, when locations or networks turn down the entire campaign, Hobley says the OkCupid team is often perplexed by the decision. The recurring theme of politics in the campaign is no coincidence. 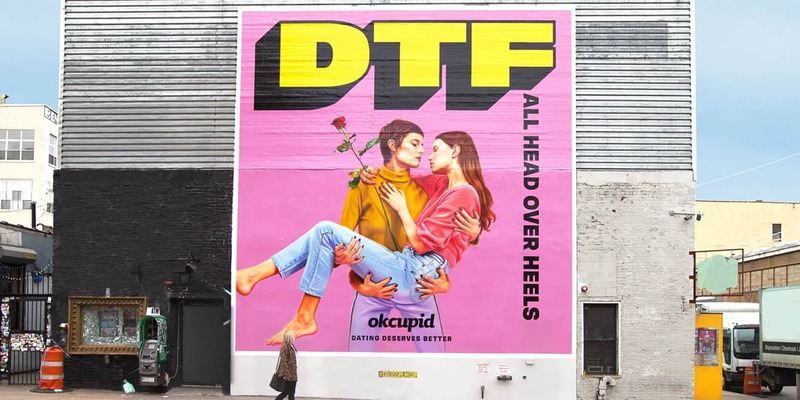 Political issues have rapidly become core aspects of the conversations around (and during) dating, as reflected in the fact OkCupid has seen a 64 percent increase in political terms being used in dating profiles over the past year. 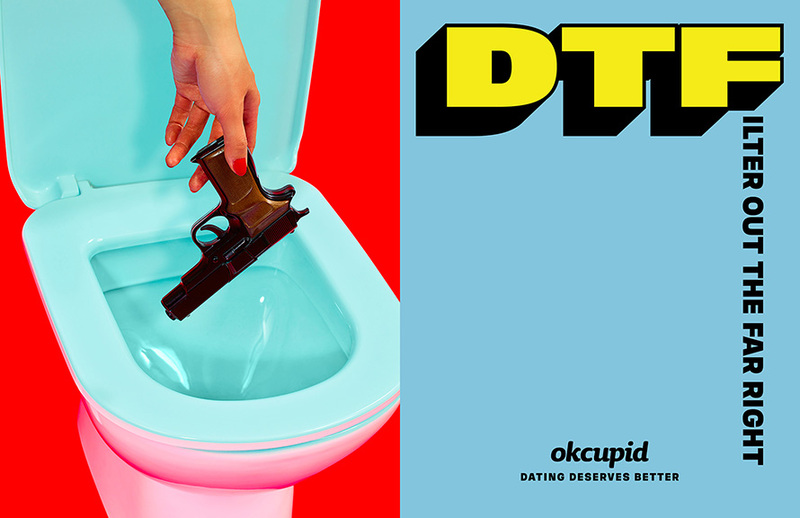 Last fall, OkCupid began offering badges on profiles, and the use of political expression with this feature has had an impact on user connections. You’re 15 percent more likely to get a “like” in the app if you use the ACLU badge, according to OkCupid data, and users who shared the #IStandWithPP badge supporting Planned Parenthood were four times more likely to match.